Rigor mortis is the stiffening of joints and muscles after death. 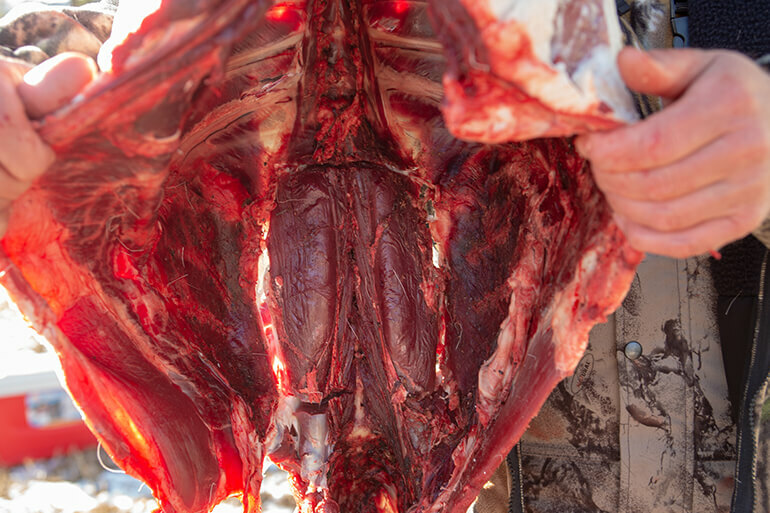 In deer, this period can last between 12-24 hours and sets in when a carcass begins to cool. If venison is cooked during this time frame, prepare to sit down to tough pieces of meat. For more tender venison, butcher and cook deer after rigor mortis has reversed – when the muscles have had time to relax. This is achieved by hanging deer after field dressing. To be safe, I usually allow two days for rigor mortis to completely fade. 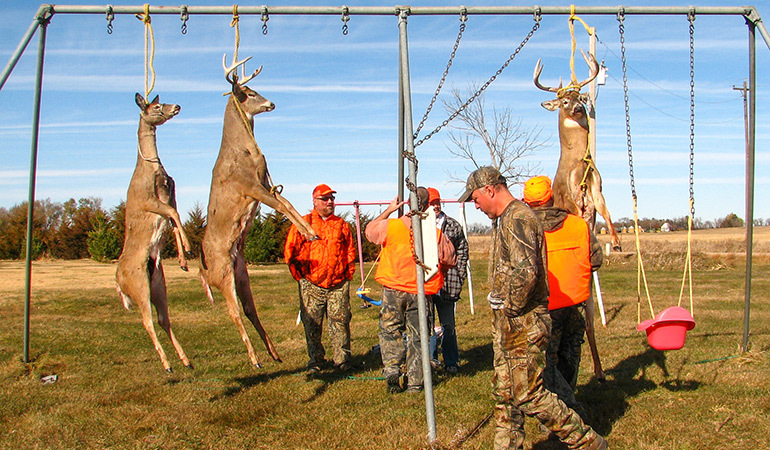 Before you hang deer, make sure the temperature is suitable: above 32 degrees Fahrenheit and below 42 degrees. 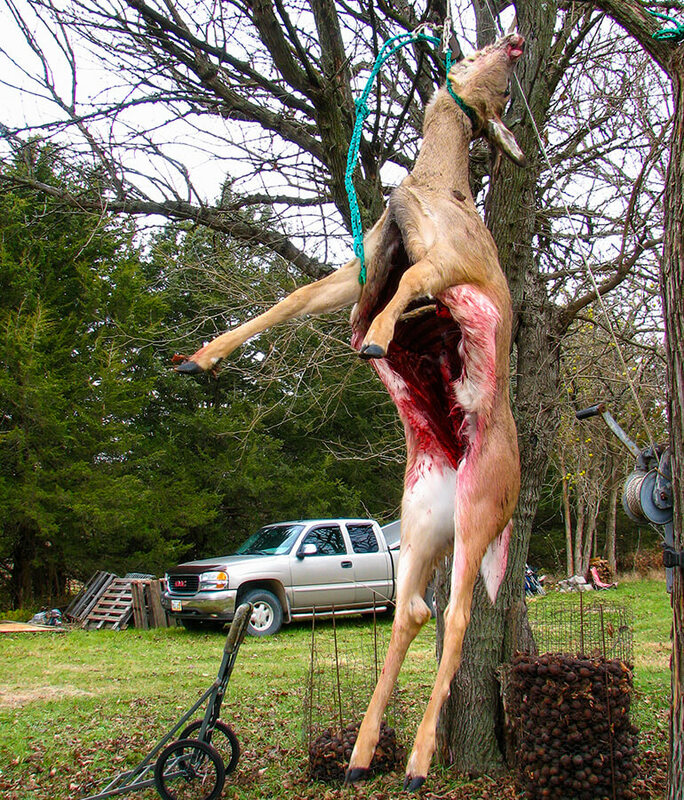 Hang deer in a well-ventilated area that is ideally protected from weather, dust/dirt, insects and scavengers, such as in a shed, garage or even from a tree branch if you’re still out in the field. Prop open the ribcage with a stick to keep the inside cavity cool and well ventilated. Remove the tenderloins (inside loins), which are located inside the cavity and below the ribs. The tenderloins are tender already and because they are small, they will dry out quickly. Celebrate your kill at deer camp by throwing the tenderloins onto the fire or freeze to save for later. Hang deer with the head up or down. 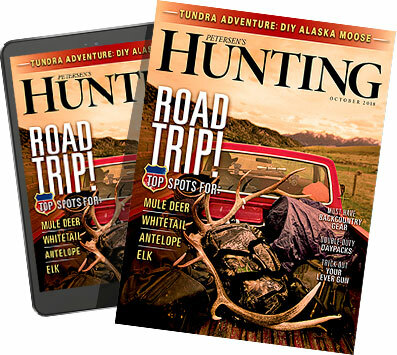 Some hunters argue that hanging deer by the hind legs will prevent gastric juices from the esophagus draining down onto the hams. It doesn’t hurt to take the extra precaution, but I’ve never had issues when hanging deer by the head. I also find it easier to skin and butcher deer with the head up, but this is purely personal preference. If you plan to hang deer for only a day or two, hide on or off makes little difference. If you plan to age the deer, which will require a much longer hang time – and also a different subject for another day – I prefer to keep the hide on, which prevents the meat from drying out too quickly and protects it from discoloration/oxidation. If you have to hang the deer outside, I would keep the hide on for protection. There will be times when you are forced to quarter a deer immediately. Or perhaps you don’t have the space to hang an entire carcass, which is the problem my husband and I run into living in the city. If temperatures are above 42 degrees, you run the risk of meat spoiling; and if temperatures are below freezing, a fresh carcass will freeze in its rigor mortis state. Meat should never be hung in the open if flies are present. Unfortunately, few of us enjoy the luxury of having a walk-in meat locker in our homes, so an extra refrigerator is the next best option. If you can find a freezer-less refrigerator or you’re handy enough to modify a standard one, you may be able to hang an entire deer inside it. Or you can quarter the deer and hang the legs by hooks. Lay the loins on a rack – I use baker’s cooling racks – that provides good air flow all around the meat. Open the refrigerator door at least twice a day to allow excess moisture to escape and for new air to circulate inside. However, this step is more important when dry aging, and less so if you plan to only hang deer long enough to avoid rigor mortis. If you don’t have an extra refrigerator or if you’re in a field-type situation, it is possible to allow meat to rest in a cooler. This is where those more-expensive coolers can come in handy: They do a better job of maintaining consistent, cold temperatures and will also save you from having to constantly replace ice. Many of them are also bear proof. Skin the quarters and make sure they are as clean as possible from dirt and debris. Place the meat inside clean trash bag(s) to protect the meat from ice water – never allow meat to sit in water, which can promote bacterial growth. Fill the cooler a third of the way with ice and lay the bag(s) of meat on top of the ice. If warm outside temperatures have you concerned, pour ice over the meat, but make sure the trash bag never fills with water. Close the cooler and place in a shaded area, preferably somewhere with a slight incline with the drain plug open and facing downhill. Try not to open the cooler too much and replace ice as necessary. I do not recommend this method for long-term aging due to the lack of air flow and less-than-ideal humidity.